In Thailand, you find the fried tofu sold at the same stall or cart with fried taro. 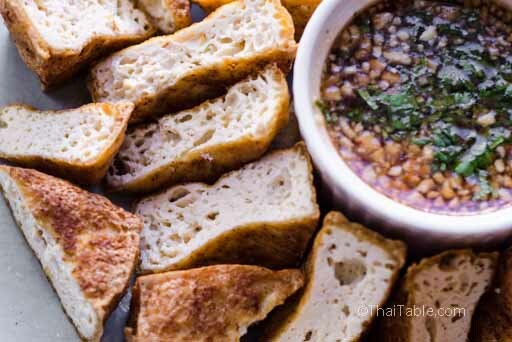 It is a wonderful snack even for those who are not so fond of tofu because the sweet and sour cilantro and peanut sauce makes up for the bland tofu. I highly recommend this as a snack or appetizer even if you are not a vegetarian. I often bring this dish to potlucks because it is fast, tasty and both vegetarians and non-vegetarians enjoy it. In Thailand, peanuts are used. However, I have successfully substituted almonds. 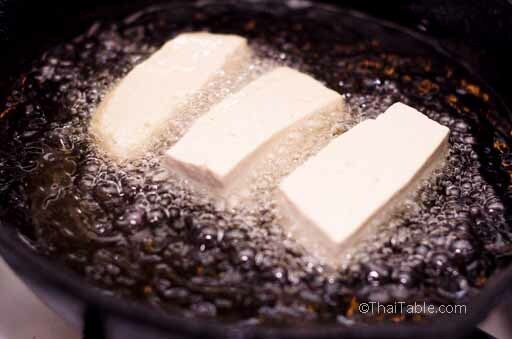 There are 2 ways that you can make Fried Tofu. One starts with the extra firm tofu that comes in a tub with water. Another is buying the cube pre-fried tofu. Drain the water and pat the tofu dry with a paper towel. 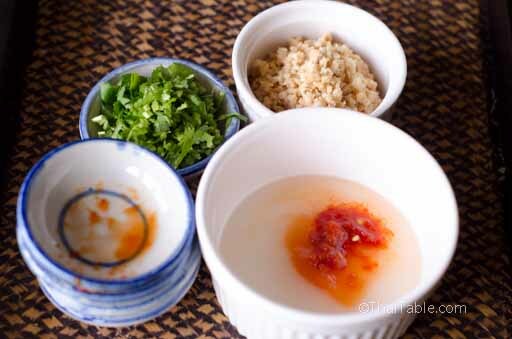 Cut the tofu into a size that you can cut in half after frying. Fry the tofu until crispy brown on all sides. Remove the fried tofu and cut them in half. 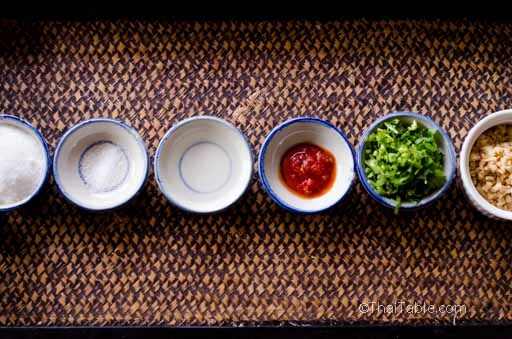 Serve hot with cilantro, peanut sauce below. 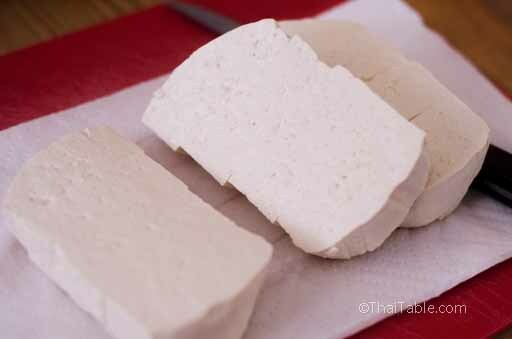 Cut the tofu cubes into half and place them in a toaster oven or oven at 350 degrees Fahrenheit on a cookie sheet, cast iron pan or a piece of aluminum foil for a few minutes. You just want to toast them. If you like them crispy, use lower heat and leave them in the oven longer. Flip every few minutes to toast all sides. 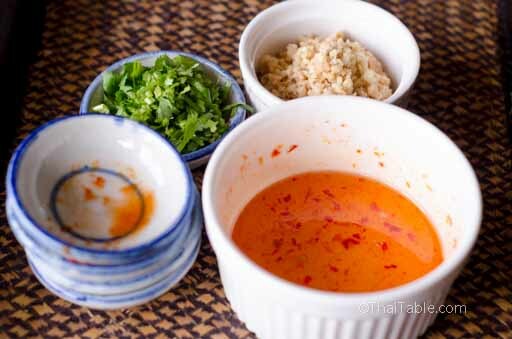 Serve hot with cilantro, peanut sauce below.